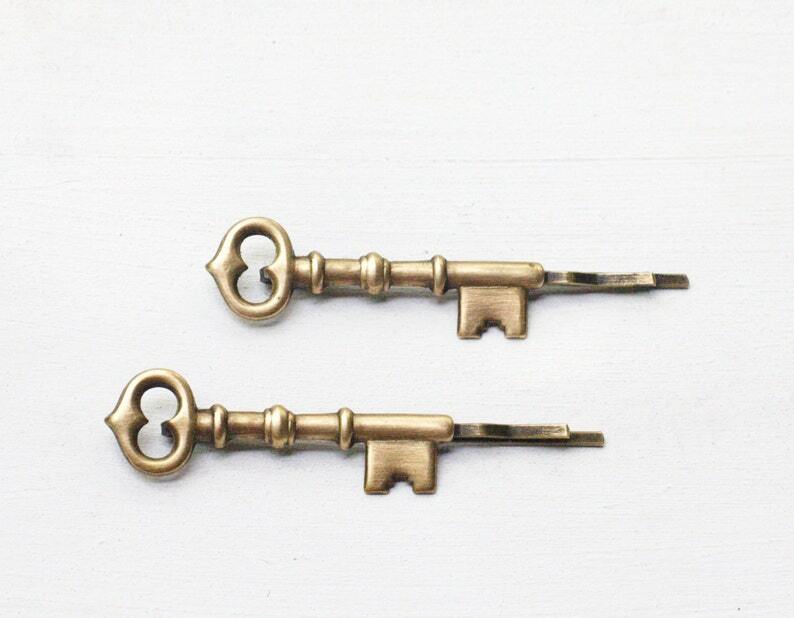 Vintage style skeleton key hair pin 2 piece set. Antiqued brass stampings have been securely torch soldered, not glued, to the bobby pins. 2 1/4 inches (5cm) long.